What to make of the 3 Catholic Supreme Court judges who boycotted “their” pope during the latter’s address to Congress? Justices Antonin Scalia(above), Samuel Alito, and Clarence Thomas were all conspicuously absent from the Court’s front-row seats at Francis’ speech to Congress on September 24 the first time a leader of the Catholic Church has ever addressed both houses. other Catholic judges Justices John Roberts, Anthony Kennedy, and Sonia Sotomayor, showed up. Republican Representative Paul Gosar passed while took umbrage at Pope Francis’ “bizarre” science. Gosar claims Earth “has been changing since first created in Genesis,” rendering Francis’ environmental focus, which Gosar describes as “wrapped [in] false science and ideology,” a waste of time. Climate change is a “fool’s errand,” he wrote. Scalia is a well known reactionary, a big fan of capital punishment and the father of a priest in the order of the Legionaires of Christ whose founder was a notorious fraud who abused seminarians and had children on the side. “The most efficacious leader of faith” as John Paul ll called him, Marciai Maciel presided over a far right wing order which brought a lot of money into the Vatican and fooled many people until the founder was canned by Pope Benedict. My bet was Scalia definitely passed.The other two—probably. 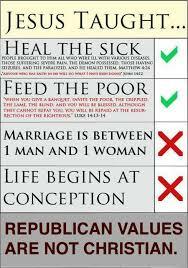 Francis is definitely out of synch with Republican values. Yet PM Netanyahu had the effrontery to pawn him off as Ambassador to Brazil but Brazil was not enthused and worse still, three former ambassadors pleaded with Brazil not to accept the HACK. Dayan you see is a settler who is ideologically committed to a policy that Brazil defines as illegal under international law. He served as chairman of the Yesha Council – the umbrella organization of Jewish settlement councils in the West Bank – from 2007 to 2013. 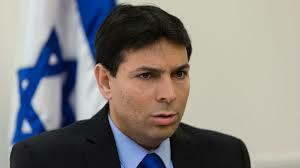 Dayan opposes the two-state solution and that agreeing to his appointment would send a very negative message to all Palestinians and Israelis who support that solution, and would be a victory for those who support a binational state. Typical israeli arrogance. Netanyahu thinks the whole world is not watching his craven disregard for international law and UN resolutions. 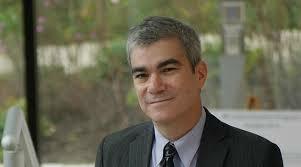 It is rabbis like Brant Rosen of Tzedek Chicago’s synagogue who will lead Judaism back to a more prophetic understand of biblical faith. Over the last many decades as many Jewish critics have written. Judaism has been suborned by Zionism, a historic Abrahamic faith co-opted by a nationalist ideology. Often at the centre of the community’s life was Israel, a modern state not the God of Abraham, Isaac and Jacob. Lest Catholics begin to point any fingers, Roman Catholicism in advanced capitalist countries have settled for the Constantinian arrangement where our critical biblical justice faith has been too easily linked with the flag and predatory capitalism. Even last night on Bill Maher’s TV show, this aggressive atheist, raised a Catholic and commenting on Pope Francis, wondered how could Republicans call themselves Catholics. Instead of Israel at the centre of their spiritual life right wing Catholics have raised the free market as their god and abandoned the poor and the environment. But I digress. Rabbi Rosen on the holiest day of the Jewish liturgical calendar, Yom Kippur (this year on September 22) dared to lead a Confession Communal Complicity. Every year on Yom Kippur that gem of the Hebrew scriptures the Book of Jonah is read as it challenges the whole community to rethink its values. Rosen wrote a unique confession called the Al Chet which is part part of the Vidui – or Confession – in which the congregation stands up and publicly confesses the sins of their community. The congregation rises and publicly confesses the sins of the community and since Israel is part of American Jewish landscape, you can see where this is going. for preferring militarized fences to open borders. for supporting trade policies and murderous regimes that for drawing lines and turning away those who come to our country seeking a better life. for contributing to the increased militarization of our nation and our world. for expanding our military budget while we cut essential services here at home; for believing that militarism and violence will ensure our collective security. for repeatedly unleashing devastating military firepower on a population trapped in a tiny strip of land. or rationalizing away Israel’s oppression of the Palestinian people. This direct naming of Israel’s humiliation of the Palestinian occupation indicates to me that the prophetic is alive still, small though it may be, in the Jewish community. Rosen makes no bones about this. He is a virtual Jeremiah for our time.His target is idolatry, empire and arrogance. Ever since the new historians in the late 80s (Flapan, Segev, Pappé, Shlaim) blew the “Palestinians left on their own accord” myth out of the water, Israel has been reeling, knowing that in the information age, you can only hide the truth for so long. The new breed of historians were not propagandists but real historians. As Segev says , we were not the new historians, we were the first historians. I assume you know that I am Israeli. 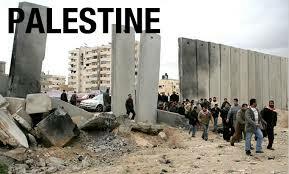 I was indoctrinated with so many distortions of history that left me cold to Palestinian suffering. I would see the empty houses of Lifta every day at the western entrance to Jerusalem, I played in those houses yet I never made the human connection to the people who built those houses and lived there before I came along; in all my years in Israel I never befriended a Palestinian; it took me until just a few years ago to really own the simple fact that over 750,000 Palestinians had to leave Palestine to make way for me and my fellow Jewish Israelis; I had no sense that Palestinians had roots in the land, that it was their land that I was taking. The best I could do was find overt anti-Arab racism distasteful, reject the occupation and generally try to be nice. I was the successful product of an education system that – to use your word – brainwashes as essential mental preparation for every Israeli’s first job as an adult, i.e. enforcing the Occupation and terrorizing other Palestinians in Gaza and Lebanon. 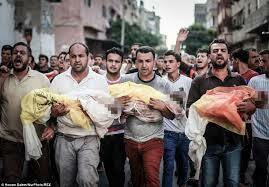 Because that is the main job of the Israeli Defense Forces. 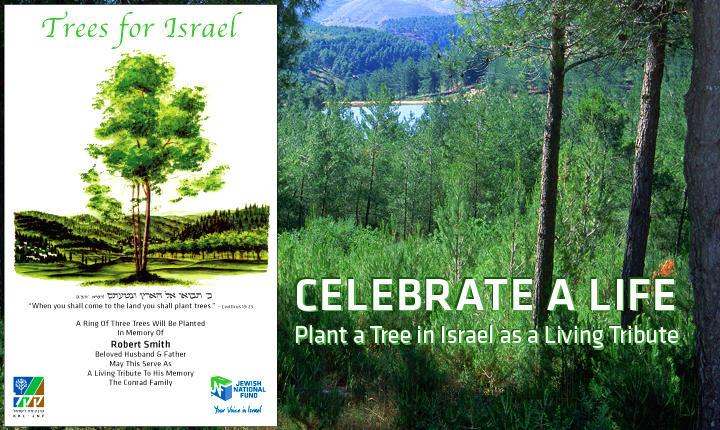 I never understood that the Jewish National Fund’s forests are literally a coverup for the Nakba. These wonderful green forests (“look how brown and bare South Lebanon is next to the green Galilee”) were planted on the ruins of hundreds of Palestinian villages. I never questioned the fairness of bringing millions of non-residents from around the world into an already populated land. I could go on and on. And I am still uncovering more of my prejudices born in ignorance. If I could lay my hands on even a small part of the supposed’ billion (dollars?) that you say the Palestinians have earmarked for PR as payment for the time I’ve spent undoing the damage of years of Israeli and American Zionist indoctrination, let me know who to go to for that. Much appreciated. Israel is abuzz with disgust over Netanyahu’s craven avoidance of Syrian refugees. It shows that the prophetic, the “Jewish” is alive in many sectors of Israeli life. Herzog the Labour leader correctly panned Netanyahu for his disgusting amnesia about Jewish history. Instead of welcoming refugees( all Muslim from next door Syria) Netanyahu built walls and showed the ugly face of Zionism a movement which hijacked authentic Jewish values of compassion. Zionists created the new Jew, the tough Jew which turned its back on the 3000 year religious tradition of compassion, solidarity, introspection etc. Zionism not Judaism became the new religion. Up until the new Jew created by Jabotinsky, Ben-Gurion et al there was the long memory of what it was like to live under Pharaoh, to be a refugee, to be a person under brutal occupation. That biblical memorry was eviscerated by Zionism. Israel became amnesiac, forgot its covenantal identity under God and turned into Pharaoh and Goliath. And more than anything else I am ashamed now – on the eve of the New Year and before Yom Kippur – because of its locked gates when refugees from all over the world are begging for a gate to open. They are terrorizing us with numbers – soon the country will be filled with them, in addition to our enemies. Don’t look at the streaming masses but at those who are among them; don’t look that those who are coming, but at those who are here. Israel today is infamous for its brutal treatment of Ethiopian and Suidanese refugees. 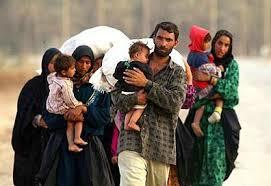 Forget about Syria.They’re Arabs, non-Jewish and not welcome. Andrew Mitrovica is a well known journalist with an excellent track record on human rights. He periodically appears in the Star and a few other papers. this time he was writing on a good online source ipolitics.ca about the selective compassion of national leaders when it comes to the battered children of Gaza. Virtually no national leader has the guts to attack the criminality of Israel and its ongoing battering of the Palestinian people. Below the firing line, of course, is a major discussion among Jews, many abandoning any support for the failed version of Zionism at play there. Former “liberal Zionists” have come to the conclusion after the last massacres in Gaza that any more blank support for Israel is out of step with traditional Jewish humanist values. Where was the ‘compassionate’ media cavalry when a Palestinian physician was fighting a losing battle with Ottawa to arrange for 100 Palestinian children to come to Canada for desperately-needed medical help? Where were Mulcair and Trudeau when the international news services were swamped with images of dead or mutilated Palestinian children during theIsraeli invasion of Gaza last year? Like Alexander, they were hiding behind their PR people, who issued circumspect press releases about those “heartbreaking” images and limply urged the Canadian government to do more to stop the bloodshed. How nice. But perhaps the biggest hypocrites of these past few days have been some of this country’s major news organizations — the ones which saw fit to publish pictures of Alan’s lifeless body and demand action, but which sat on their hands when others were urging action for the children of Gaza. Where were they when Dr. Izzeldin Abuelaish — a Palestinian humanitarian, physician and father who lost three daughters and a niece to an Israeli tank shell in 2009 — was fighting a losing battle with Ottawa to arrange for 100 Palestinian children to come to Canada for desperately-needed medical help? Where was the “compassionate” media cavalry then? Some were silent about the initiative, known as Heal 100 kids. Some dismissed it as political ploy. Worse, some even cynically implied that it was simply cover to allow terrorists to sneak into the country. The world is horrified at the heart wrenching picture of the 4 year old Syrian boy washed up on a Turkish beach, another drowned refugee. 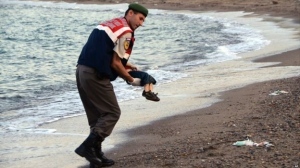 The 3-year-old found dead Wednesday along the shores of a Turkish resort town was named Aylan Kurdi. His family was trying to reach the Greek island of Kos when their boat capsized. His brother, Galip, 5, and mother, Rehan, 35, also died. Only the boys’ father, Abdullah, survived. And the news that our big hearted Canadian government had refused the family entry into Canada. “I was trying to sponsor them, and I have my friends and my neighbors who helped me with the bank deposits, but we couldn’t get them out, and that is why they went in the boat. I was even paying rent for them in Turkey, but it is horrible the way they treat Syrians there,” Teema Kurdi, Abdullah’s sister who lives in Vancouver, told the Ottawa Citizen. NDP member from BC Fin Donnelly personally delivered the letter to immigration minister Chris Alexander in March, then nada. “I walked across the aisle in the House of Commons and handed it to him and had a conversation with him,” Donnelly told Canada AM. “I asked him to look into the case.”Donnelly said Alexander promised to look into it. He said Alexander’s office later requested more information about the family, which was supplied. Alexander has suspended his re-election bid to rush back to Ottawa to control the damage.The Tories of course are hopeless in this regard, their performance abysmal but the other two leaders have shown that they are tone deaf to this global crisis. You can bet he’ll be one Tory who will defy the great leader and start speaking to the press. In Europe, while Germany is taking 800,000 refugees in, German newspapers are mocking another Tory government for its chintzy 10,000 admission response to the immigration crisis. Both Canada and the U.K. should be ashamed of their response. 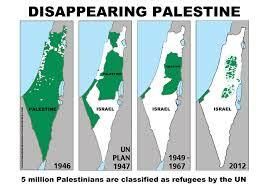 And the last time I looked at the map, Israel was next to Syria and its response was typical. Basically we do not like Muslims. What would possess families to trek thru Europe for a safe haven when one of the most developed countries in the world is next door. Three guesses and the first two don’t count. Well most people know by now Israel has become a very racist country which treats asylum seekers like vermin.